While national decision-makers are divided over environmental policy, state and local leaders are taking the initiative on addressing climate change. In the nation’s capital, a coalition of organizations launched a campaign to introduce a carbon fee-and-dividend program in the District of Columbia. REMI cordially invite you to a guest webinar presentation on Wednesday, March 21st, 2018 from 2 to 3 p.m. EST by Scott Williamson of the Center for Climate Strategies, when he will explore the proposal and an economic analysis of its potential impacts. If adopted, the proposed carbon fee would start in 2019 at $20 per ton of greenhouse gases emitted, rising $10 per year until reaching $150 per ton in 2032. The study, sponsored by the Chesapeake Climate Action Network, shows the effects on carbon emissions, revenue, and economic impacts, including GDP and employment – for the District as a whole and for individual sectors of the economy. 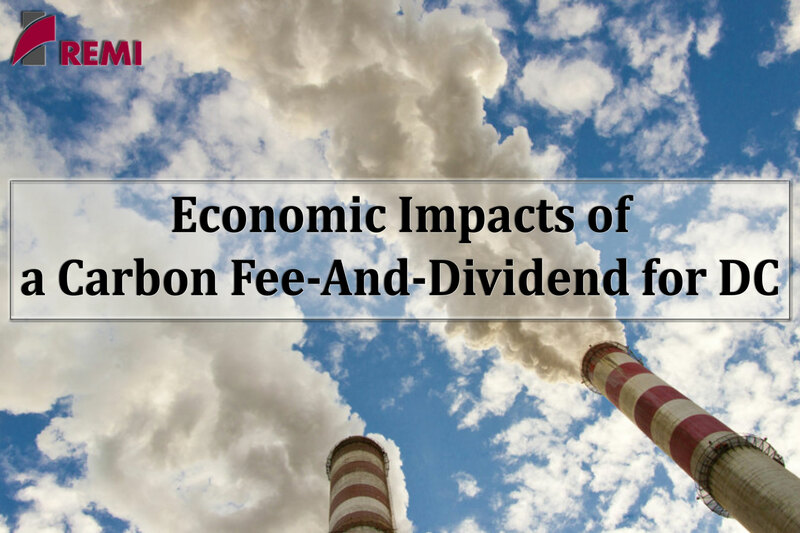 For this presentation, Mr. Williamson will review the findings of the impact analysis, and explain the methodologies used for estimating the effects of the proposed carbon fee.